is engineered for use in harsh conditions. Heavy duty aluminum and stainless steel components provide strength and durability. Kevlar webbing delivers maximum safety for personnel and exceptional thermal, chemical and abrasion resistance. 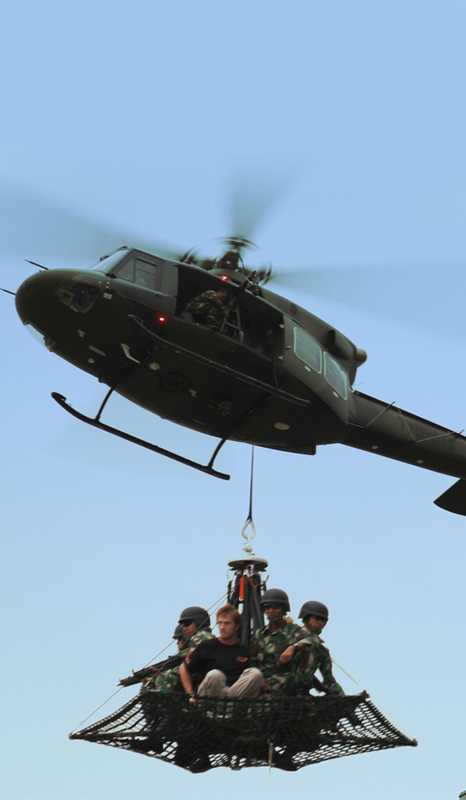 Designed for most helicopters the AirTEP is a global solution to rescue operations in any extreme environment. The AirTEP is ideal for insertion/extraction for up to 10 personnel; for long range rescue, hazmat scenarios, hostage rescue, personnel rescue (mountain, rooftop, mud slides, fire, flooding, etc.). The platform has the ability to accommodate 2-3 stretchers and also includes room for medical personnel to attend to the victims.